Bust out the mistletoe - the Stampin' Up! Holiday Catalog has arrived! Project ideas are featured front and center. After all, aren't we ALL ABOUT the projects? And I want to MAKE them all too! Season of Style This and That Journal products. For all the "queen of planning and organization types" you'll love this! And the rest of us wannabes will have a ball playing with it too! The Winter Frost Suite! SWOON!! Stunning patterned paper, gorgeous embellishments and ribbon, silver and gold foil sheets, and a beautiful stamp set. I'm in heaven. Thinlits and Framelits. The Expressions Thinlits Dies are just plain fun! And with the Envelope Liners Framelits, I can easily add a special touch to every card I send. Okay, I might as well confess. I love practically everything in this Holiday Catalog. So tell me ... what is YOUR favorite thing? 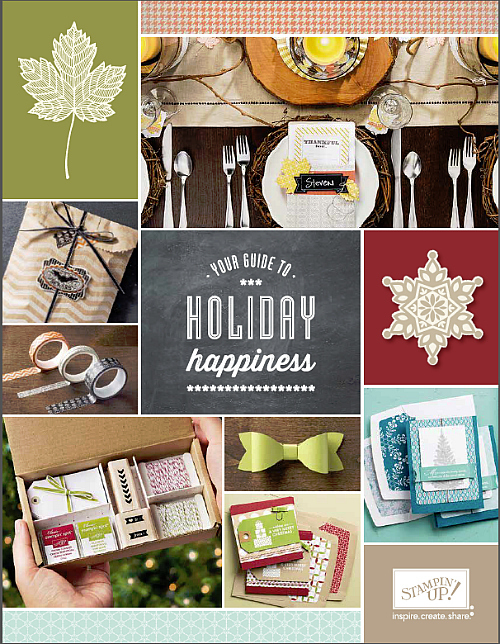 What is your favorite thing in the Holiday Catalog? Share your comments below! 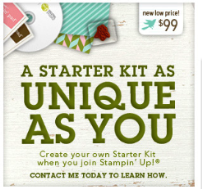 Undefined Stamp Carving Kit by Stampin' Up! A Charm of Powerful Trouble! Digital Back to School + Halloween + a Freebie! Hip Hip Hooray - It's Your Day!